Snow is one of the inevitable parts of winter in some countries and regions. It is usually a source of enjoyment for some, and annoyance for others. It is great for outdoor activities like skiing and snowboarding but it can be a hindrance when you need to travel. In the great outdoors it can also be a very useful commodity, particularly if you find yourself in a pinch. 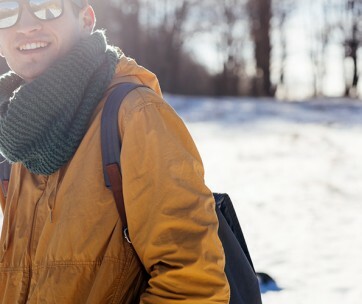 There are many uses for snow when you are enjoying time outdoors, and we’ll look at 15 great uses for snow when you are spending time camping, hiking or engaging in your favorite outdoor snow pastime. Having fun in the snowfields is one of the best aspects of snow, but it is wet and slippery. Sometimes skiers and other snow enthusiasts slip and twist their ankles or wrists. When this happens you need to treat sprained limb as soon as possible to reduce any swelling. When snow is in plentiful supply, grab a few handfuls and wrap it in a plastic bag or cloth and use this as an emergency compress. Apply it to the affected area until you can get the patient checked by a medical professional. Snow is relatively clean so it is perfectly safe to eat. So much so, that many fast food places and fuel stations offer this cool, tasty treat at ridiculous prices. Who hasn’t had a snow cone at least once in their life? Grab a clean cup or camping mug and fill it with snow, then pour your favorite sugary drink over the snow for an instant snow cone. You can get really creative and add alcoholic beverages for an adult version of a snow cone. Just remember which ones are for the kids and which ones are adults only. 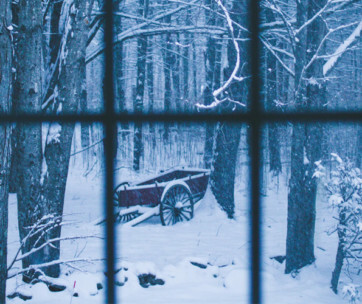 Despite being very cold, snow can be used as insulation. The air content in snow makes it perfect to keep warm. If you are camping on a snowy mountain, pitch your solo tent and pack as much snow around it as you can. The snow will act as a buffer around your tent keeping you and other occupants quite warm inside. The other advantage is that it will act as a buffer between your tent and any high winds that happen to blow around you during. 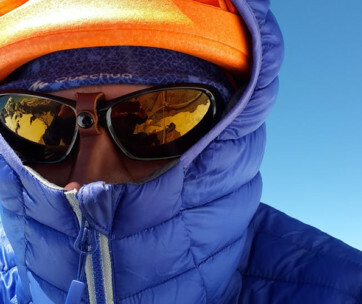 Even on a cold mountain top, you may still want a nice cold drink, particularly if you’ve been engaged in a lot of physical activity throughout the day. If you hiked to your destination or you’ve spent a busy day skiing, you’ll have worked up quite a thirst. You can place your bottles in the snow while you are keeping busy and have a nice cool drink waiting for you when you’re ready. You don’t necessarily have to be camping to use snow as a cooler. You can also do this at home. Simply step outside your back door and store your drinks in the snow instead of your refrigerator. Think of how much more space you’ll have in the fridge for food and other things. Just remember to bring your drinks back inside if the snow starts to fall again. Otherwise, you may not find your drinks again until spring. You can store so much more than just drinks in the snow. You can also keep your food fresh for days in the snow. If you plan on camping for a weekend you will most likely take enough food with you to grill or heat up. There are no restrictions on the types of food you can keep fresh in the snow. Simply place all of your food items in a cooler and bury it in the snow. You can take items out as needed and cook them or heat them up. In this way, you can keep pre-cooked foods like soups or stews cool until you ready to heat them up, or keep your meat fresh until you are ready to barbecue them. Once again, you can use this method to keep the food chilled at home. As long as it is properly packaged or stored, and there is enough snow on the ground. Just keep an eye on your food so animals don’t get to them before you do. If you plan on hiking up a mountain with the intention of camping, you’re not going to be able to take a lot of creature comforts with you. It’s one thing to sleep on the floor of your tent but you may not like the idea of sitting on the ground all day while you are camping. Packed snow is quite sturdy so you can build a few armchairs with a shovel and snow. Simply shovel the snow into a nice heap and then use the shovel to carve out a seat and armrests. Place a piece of tarp over your makeshift chair so you don’t get wet and make sure you are dressed warmly enough to not feel the chill of your icy seat. Quite often when people are out and about in snowy conditions they underestimate their need to stay hydrated and will not bring enough fresh drinking water with them. You don’t need to dehydrate when you are surrounded by water in its snowy form. Simply grab a metal camping mug or a pot, fill it with fresh, clean snow and place it over your campfire until it melts, then you can put it in your water bottle. You’ll never run out of the water so you can keep your hydration levels where they should be. Similarly, boil the water and add your favorite tea bag or go one further and add your favorite cup of instant soup for a quick, warm snack. Winters are great, but in forests and mountains, the weather can become unpredictable and erratic without warning. A tent is a great shelter but can also be flimsy in a snowstorm. If you find yourself facing an approaching storm you need to find shelter fast. This can be a challenge if you are far away from your car or buildings. If the snow is deep enough you can dig yourself a temporary cave in the snow. You may be able to relocate your tent into this cave for added shelter but at the very least you can hide out in your snowy cave until the inclement weather conditions settle down. 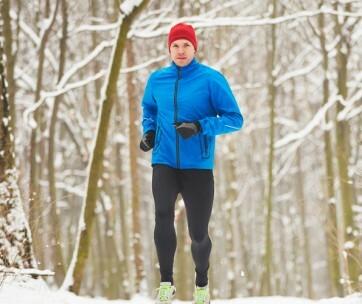 Plus, with snow’s insulation properties you’ll also stay pretty warm. Dirty dishes are all part of camping out and need to be cleaned promptly to avoid the remnants of your last meal from drying and caking onto your plates and utensils. Even if you are planning on leaving your camping ground soon, you don’t want to take filthy dishes home with you as the grease and muck may leak all over your other equipment. Use the snow to clean your dishes. Simply grab a handful of snow and rub it over your dirty dishes. Detergent would be a bonus but you can still get your dishes pretty clean with plain snow. As it is very slightly abrasive it will take most of the gunk off. Follow with rinsing of warm water or just another handful of snow to remove the last traces of food. Many people like to chew gum when they are enjoying the fun and games outdoors but with all that heavy breathing and laughter they may end up accidentally spitting out their gum and getting it in their own or someone else’s hair or clothing. Gum is annoying when it gets stuck where it shouldn’t and you want to remove it pretty fast before it really sets in. If you’ve ever used ice to remove gum then you know how effective it is. You can use this same principle with snow. Pack it over the gum and wait a few minutes until it hardens. You can then break it off with relative ease. Playing outdoors in snow may look like a clean activity but you can still collect a fair bit of dirt on your snow gear. 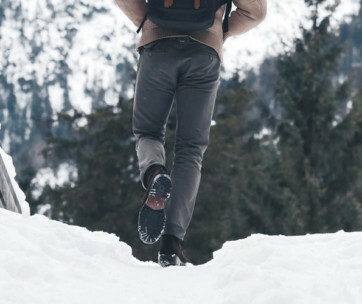 You may fall into the snow and make contact with the dirt or mud beneath it. You can wait until you return home and wash your snow gear properly but if you still have a day or more at your snowy getaway you want to keep your gear clean as long as possible. Grab a handful of snow and rub it vigorously over the dirty area of your snow boots or ski pants and watch the dirt disappear. You may not be able to get it perfectly clean, but it will be clean enough to enjoy a few more days of fun without looking like a hermit. Forests and mountains are notorious places for windy conditions. Most tents come with enough spikes to secure the tent and keep it firmly on the ground. Sometimes you need a little bit of extra security and you want to keep the bottom edges of your waterproof tent firmly secured to the ground. Once you have pitched your tent, followed by packing snow around the bottom edge. Pack the snow firmly and your tent will stay put even through some pretty rough winds. You can go one step further and pack it as high as you like for instant insulation as well. You may think building a fire pit with snow is impossible because once the fire is lit you expect the snow to melt. Funnily enough, it won’t. You can dig yourself a pit and build a frame around it out of snow. Just be sure to pack it down tightly so that it is ice than snow. You’ll keep the wind out of your fire pit and stay warm all day. Not only will you be able to keep your fire going to keep warm, but you’ll also be able to cook anything you need to cover your fire pit. Part of the fun of camping and cooking outdoors is creating tasty and fun foods you normally wouldn’t make at home. If you have a sweet tooth you can make yourself some fun chewy candy with the aid of snow. Boil something syrupy like honey, maple syrup or agave syrup. While it is boiling pack some snow into balls, then pour the boiled syrup over the snowballs. Let it cool for a few minutes and the syrup will become chewy and sticky like toffee. It may not be the best candy you’ve ever eaten, but even the silliest foods taste amazing when you’re camping. By the way, you don’t need to camp to enjoy this treat. You can make it at home if you really like it. Those instant pancake mixes that come in those little bottles you add water or milk to and shake to mix are very convenient for camping trips. They make a quick and delicious breakfast that everyone can enjoy. Adding some snow to the mixture instead of just milk and water produces extra fluffy pancakes. You add the snow and shake the bottle just before you pour the mixture into the pan. The snow crystals quickly evaporate leaving fully little air pockets. Of course, if you prefer to make your pancakes from scratch, you can still add snow right at the end for the same result. 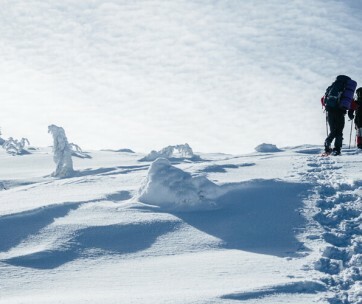 Remember these useful tips to get the most of your adventures in the snow. They are not only practical, they can also be lots of fun for kids of all ages and add a little special something to your camping or hiking activities. Winters are cold and snow is abundant so in between the fun and games, use the snow to your advantage.